Cutting-edge technology for the food industry. Developing solutions for over 50 years! 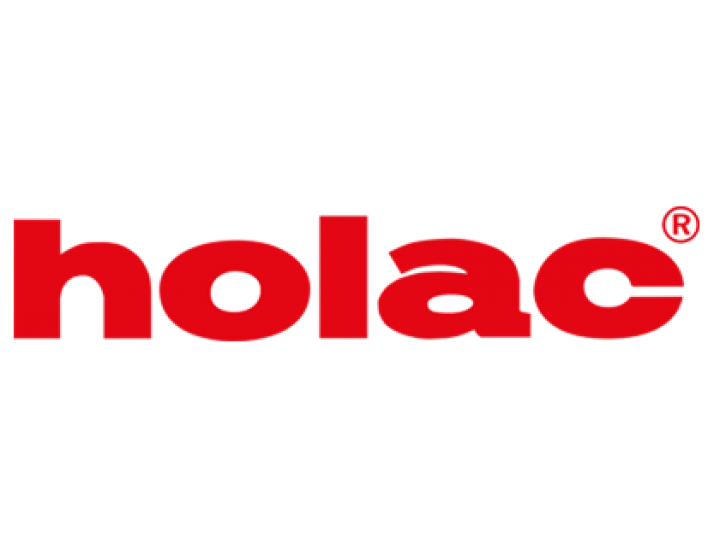 holac Maschinenbau GmbH today is a leading, globally recognised company in the cutting-technology industry, with its headquarters in Nattheim, Germany. 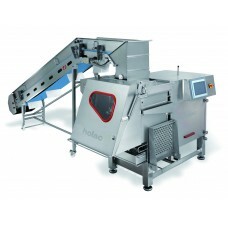 For over 50 years, holac has been providing solutions to cut meat, meat products, cheese, fish and vegetables. The holac brand stands for unsurpassed precision, reliability and quality. Our experience and the creativity we apply in developing our machines always guarantee our dominant position in the global market. The company’s strategy is to focus firmly on our core area: cutting technology for foodstuffs. The production location of holac Maschinenbau GmbH, currently and for the future, is Nattheim, Germany. The company values are also the central success factors of its products: robustness, durability, individuality, effectiveness, value retention and leadership in technology. These are the qualities found in every holac product – Made in Germany! What this means in everyday business operations is that we always seize future-oriented technologies and new, close to our core-business markets. We do this in order to strengthen and expand the company, to ensure that we are always amongst the best in the industry, and to be able to offer our customers first-class products and services at all times. 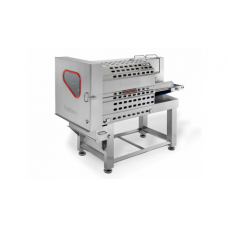 The smallest fully automatic dicer on the marketThe Cubixx 100 LP is our smallest fully automa.. 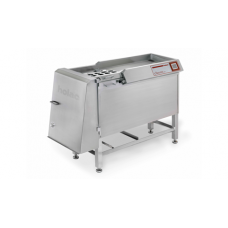 The all rounderIts flexibility is what attracts customers on the Cubixx 100 L. Whether it diced meat.. 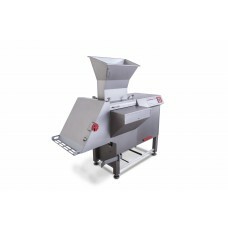 The small semi-automatic dicer with innovative product loadingThe Cubixx 100 CX is the smallest mult.. 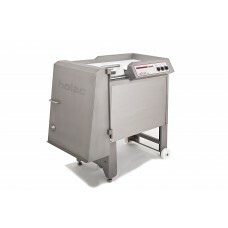 The compact strong, multipurpose dicerThe Cubixx 100 is the smallest multipurpose dicer in the holac.. In line cutting for fresh productsThe perfect solution for 2D cutting of sensitive products. Equippe.. 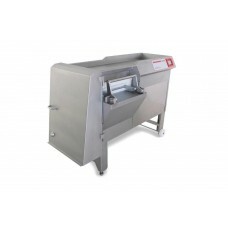 The multifunctional cheese-cutting machineThe Cheesixx is the smallest model amongst the machines in.. The continual strip cutter and slicing machineThe compact BS 28 changes in less than one minute from.. 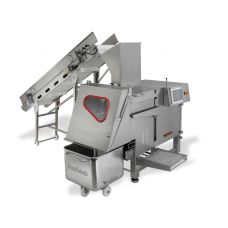 The flexible machine with multifunctional infeedThe AUT 30 is the most flexible of the multipurpose .. 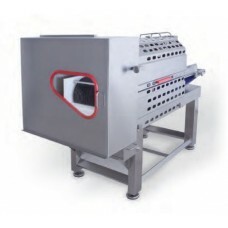 The large cheese-cutting machine for flexible high performanceThe AUT 200 L is the high performance .. 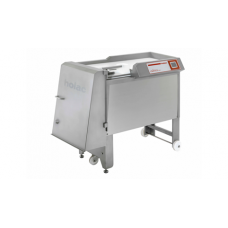 The large cheese-cutting machine for flexible high performanceThe AUT 200 is the high performance ch..